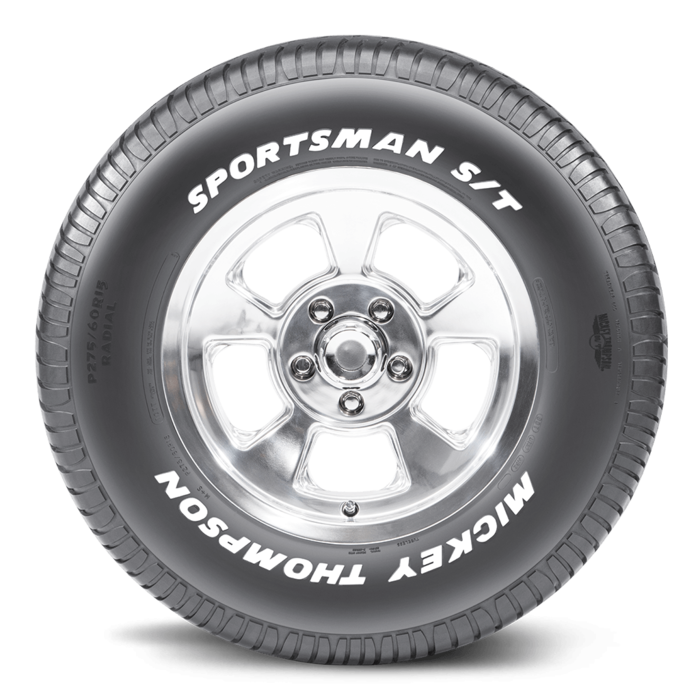 Sportsman S/T P215/70R15 15.0 Inch Rim Dia 26.7 Inch OD. 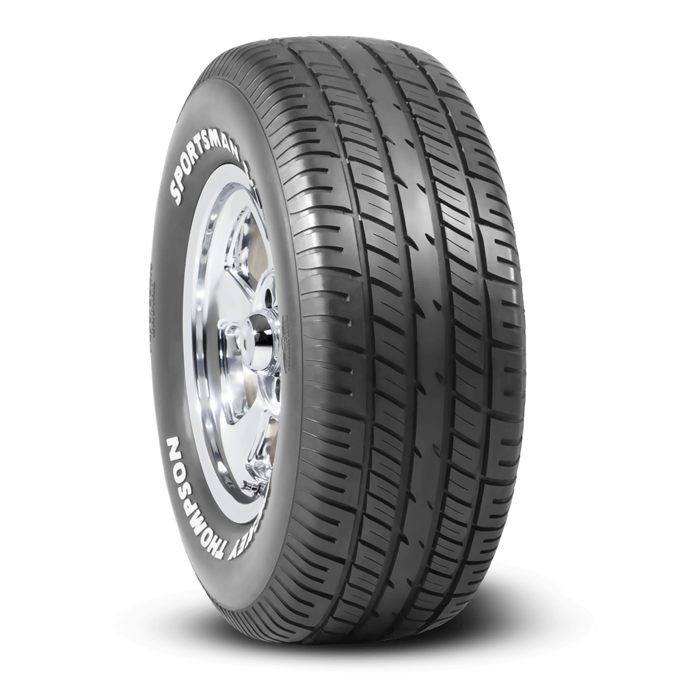 The Mickey Thompson Sportsman S/T is designed for original muscle car owners demanding performance, quality and style. 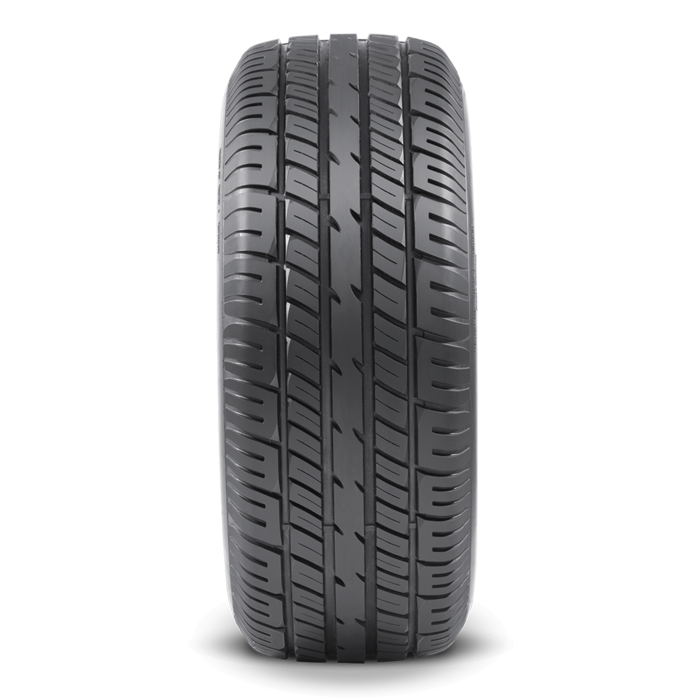 Optional raised white letters or black sidewall with a low-profile look provides the wide all season performance handling muscle car drivers demand.